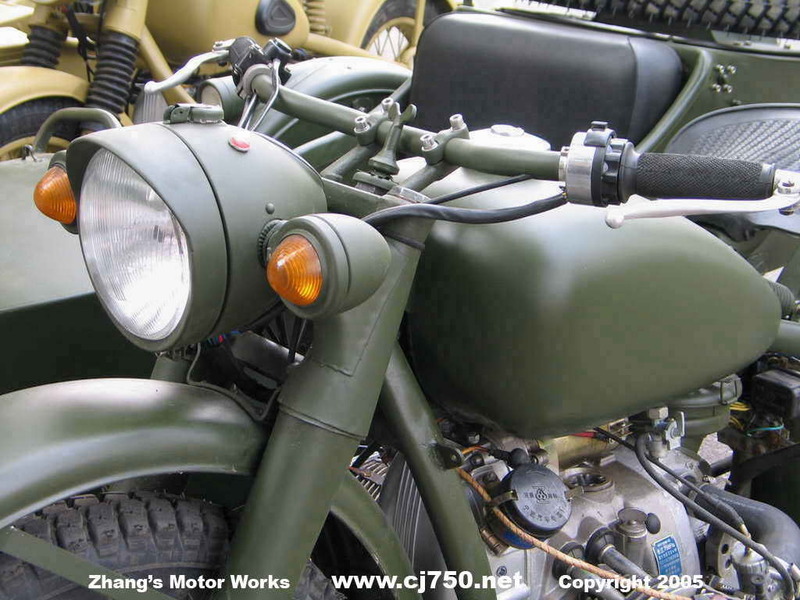 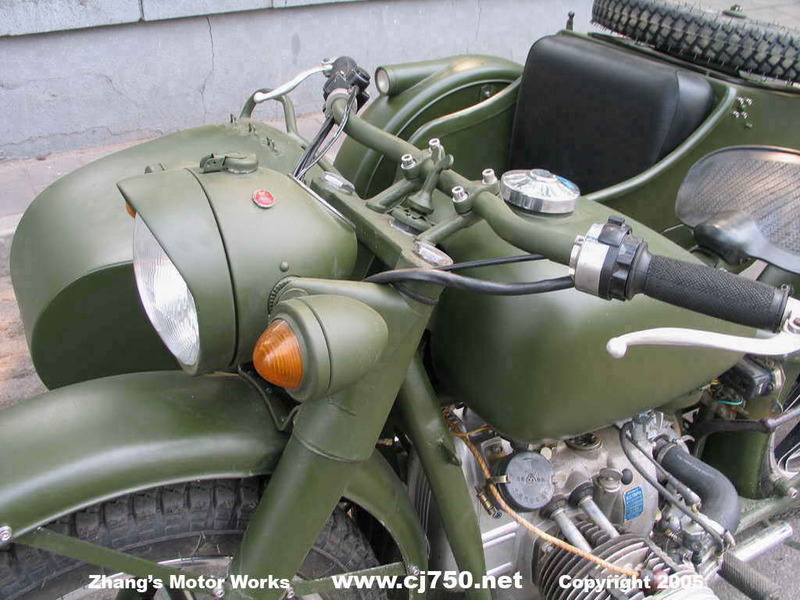 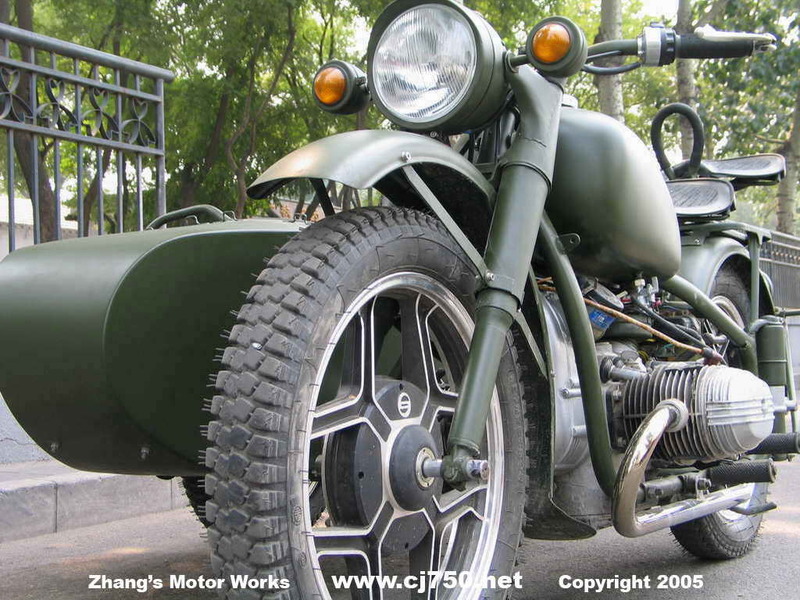 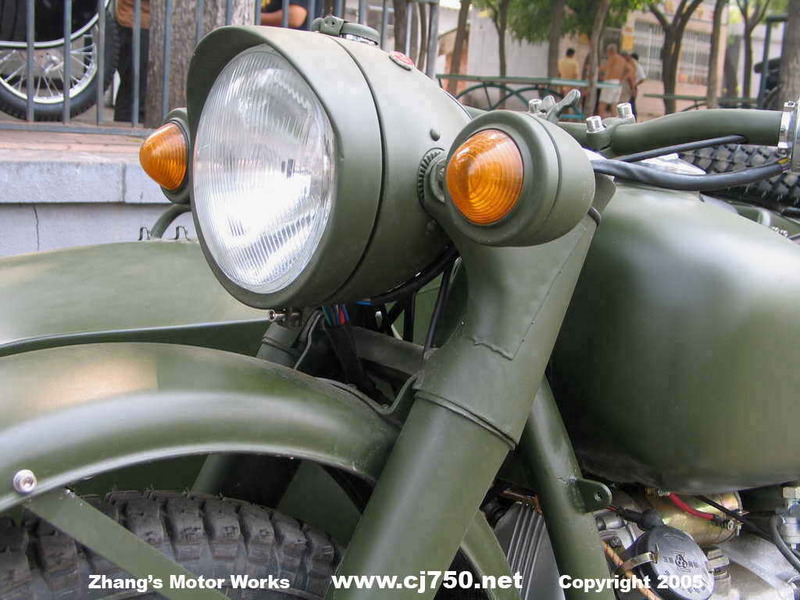 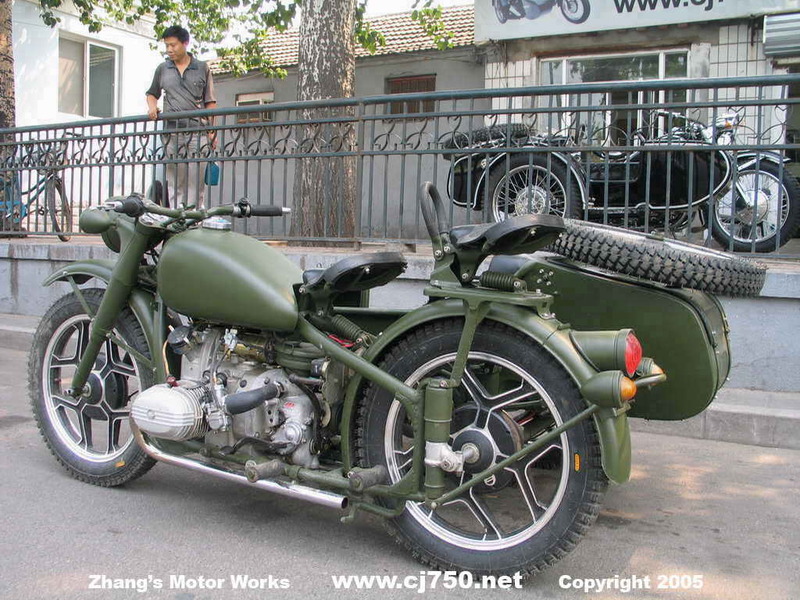 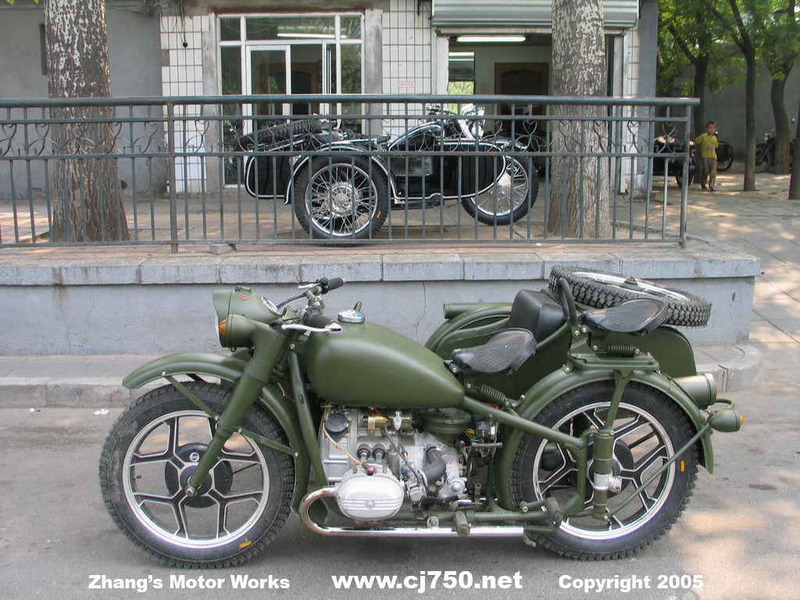 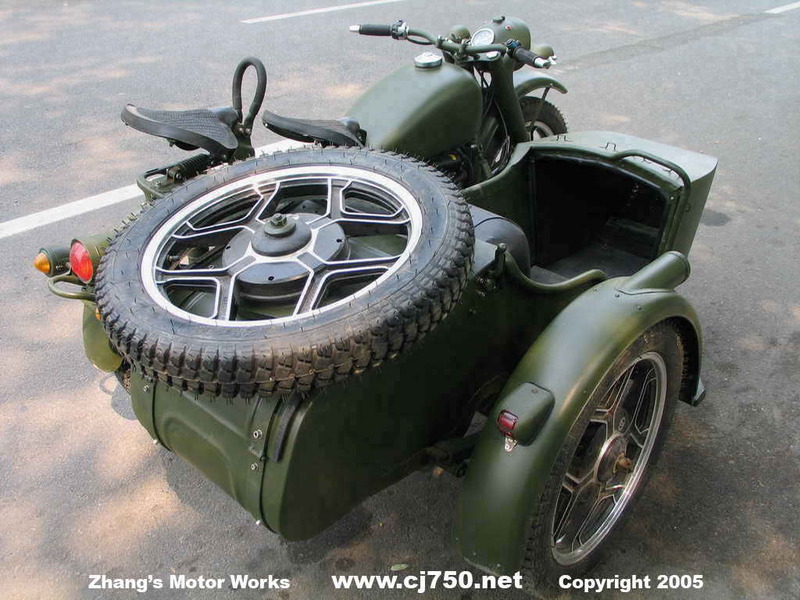 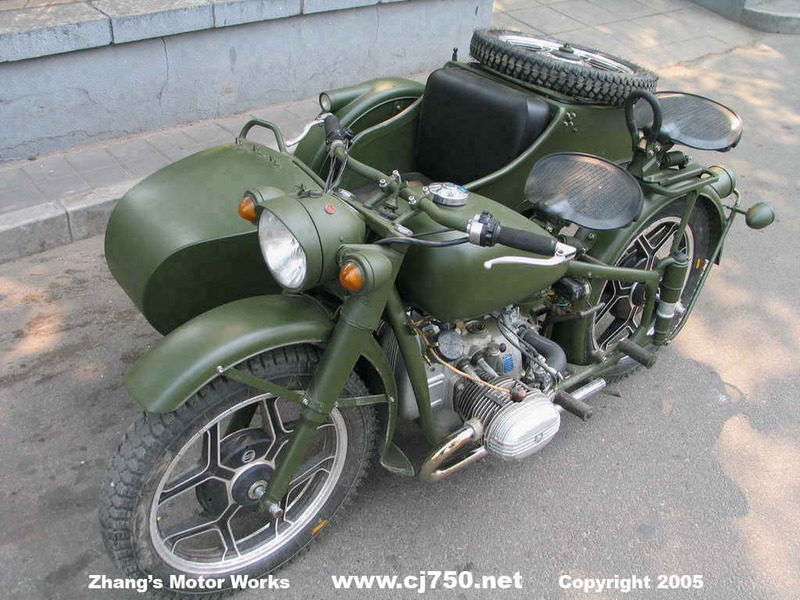 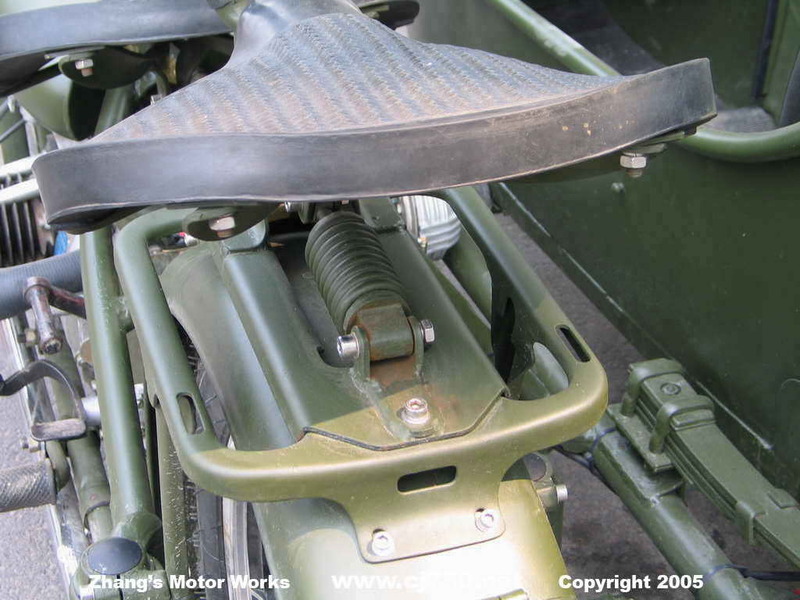 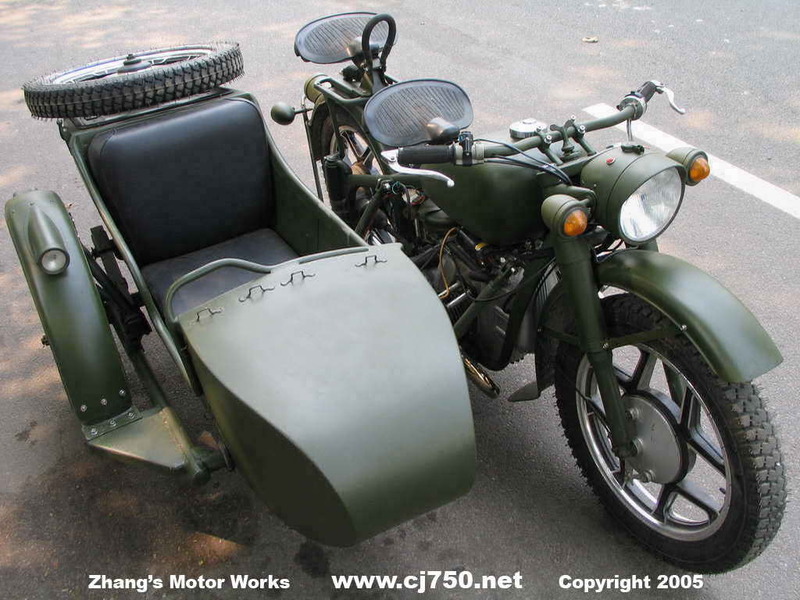 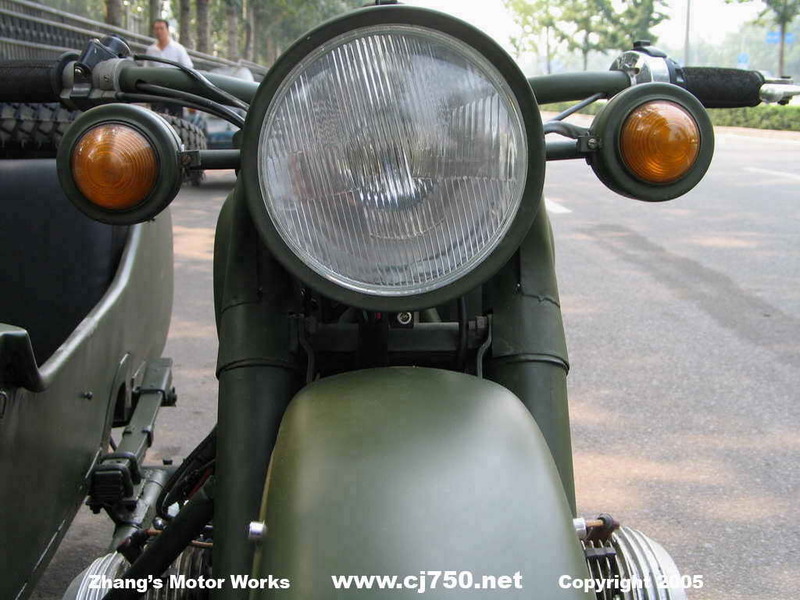 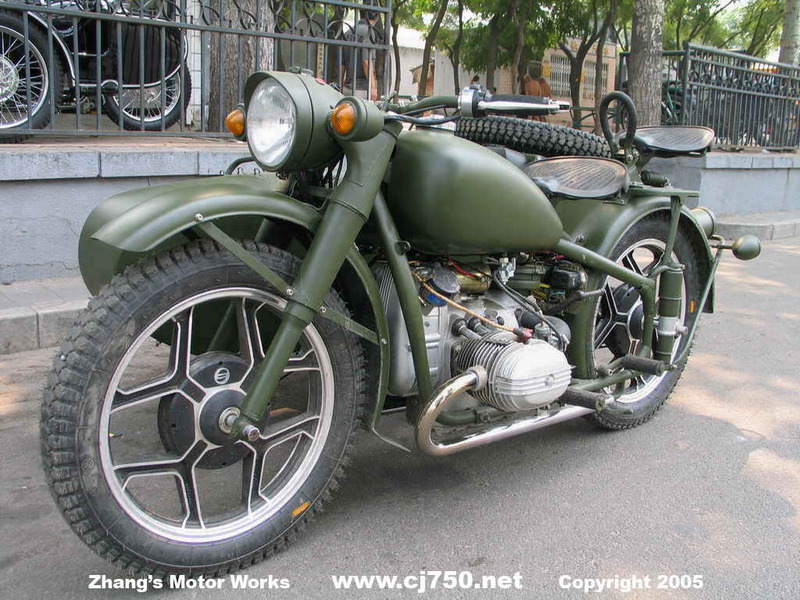 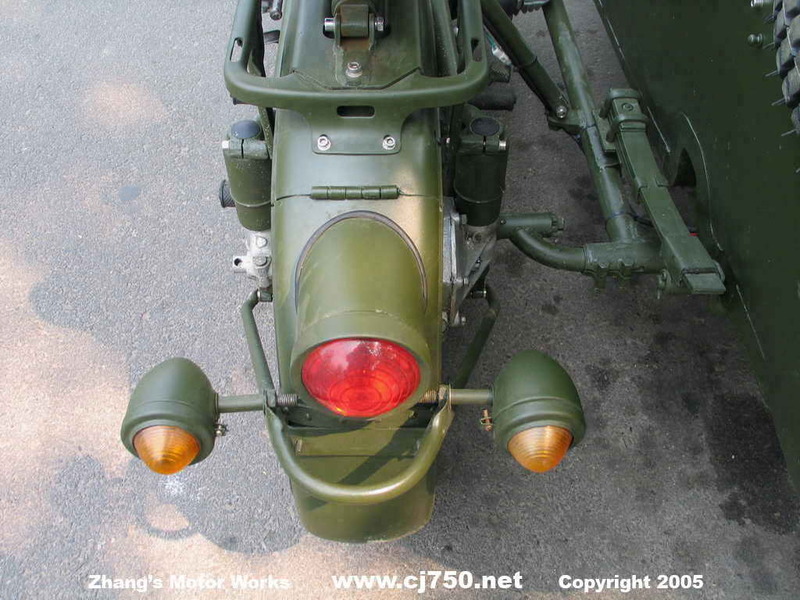 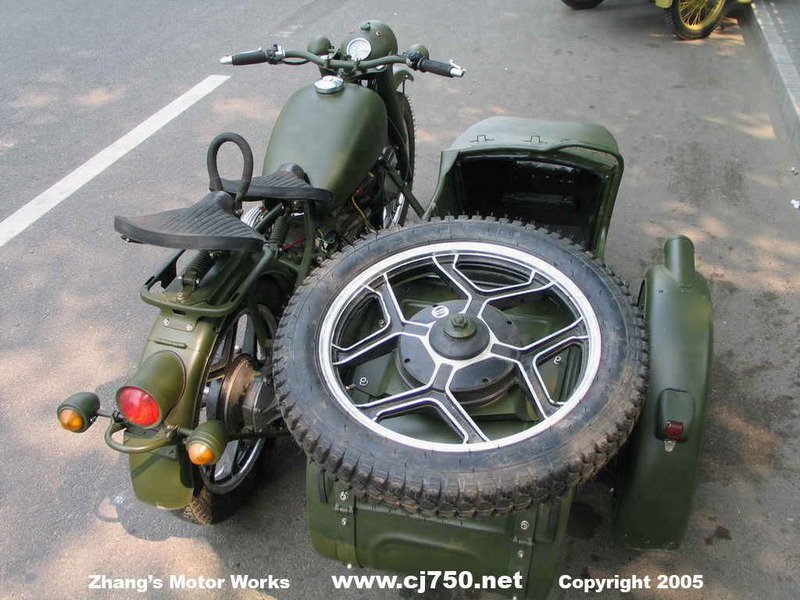 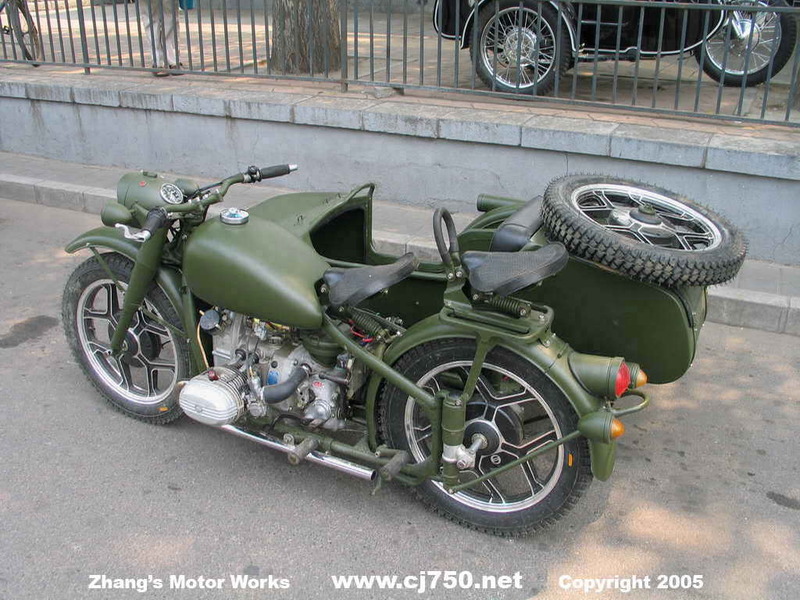 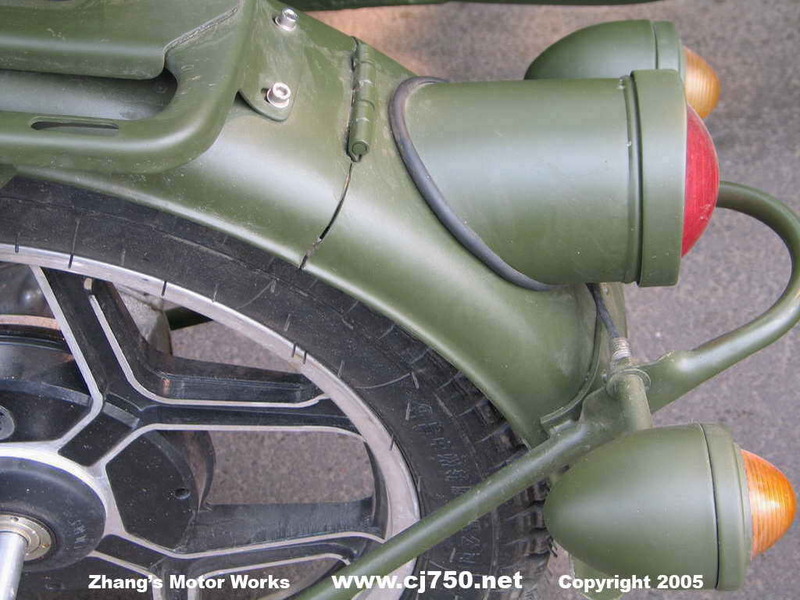 Check out the military Chang Jiang 750 sidecar below. 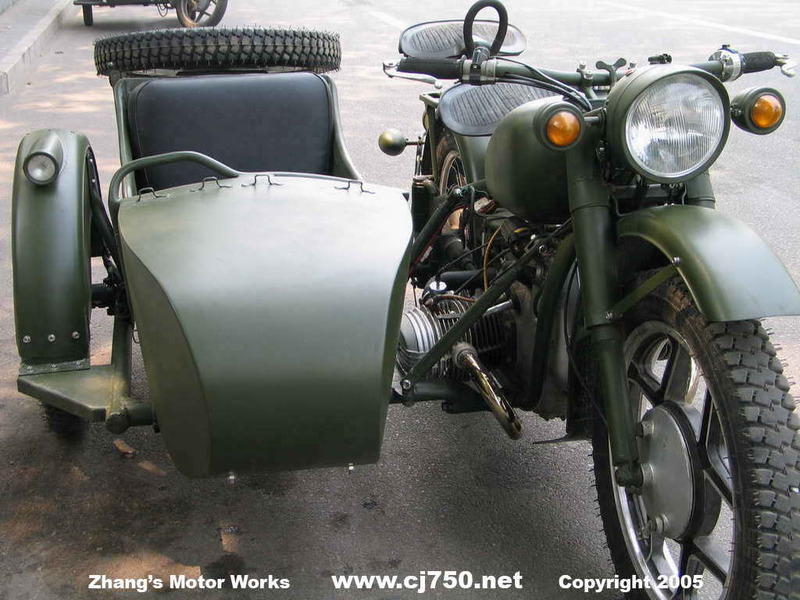 It has a new 32hp OHV engine, alloy wheels, high performance carburetors, fog lights, and has been rebuilt meticulously. 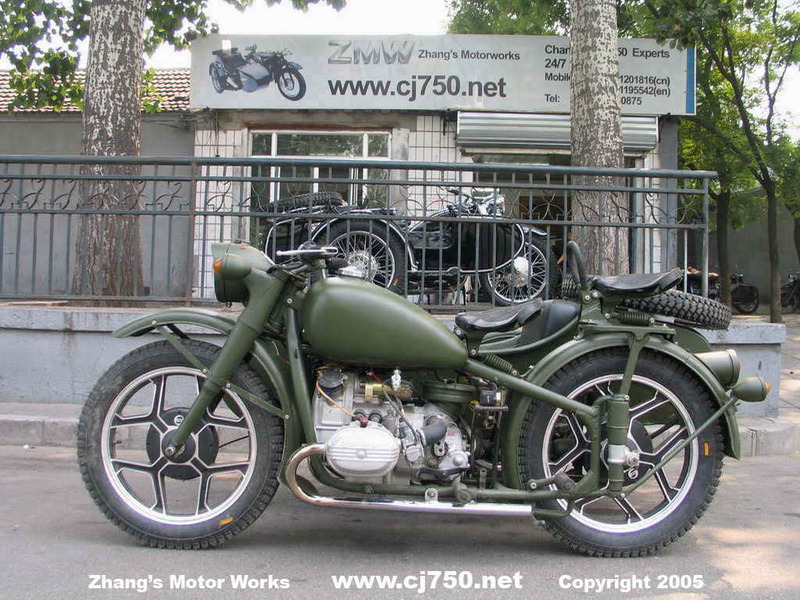 This Chang Jiang 750 has top speeds of 130km/h and with its alloy wheels can go off road easily. 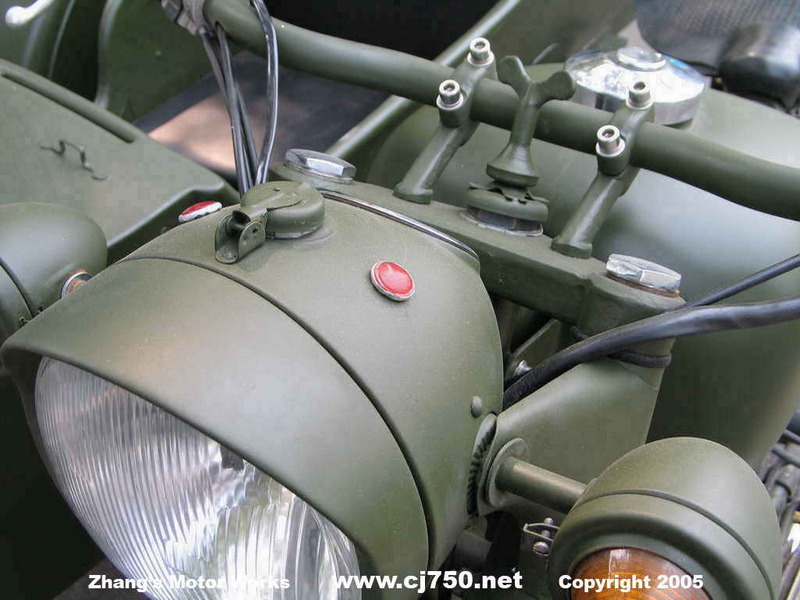 All of our export restorations are from PLA inventory, read our FAQs to find out more. 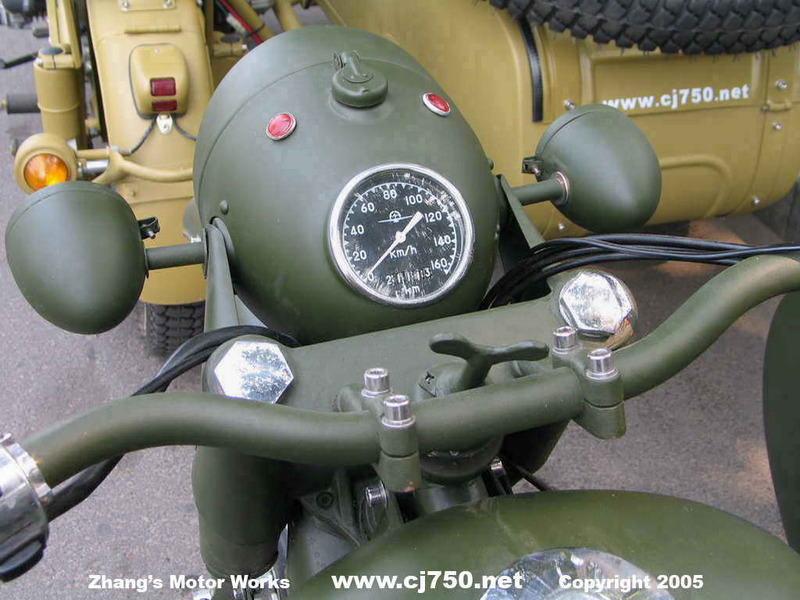 If you do lots of highway riding and want speed, a high speed 4th gear or rear drive can be installed which will give you about 15km to 20km more top speed. 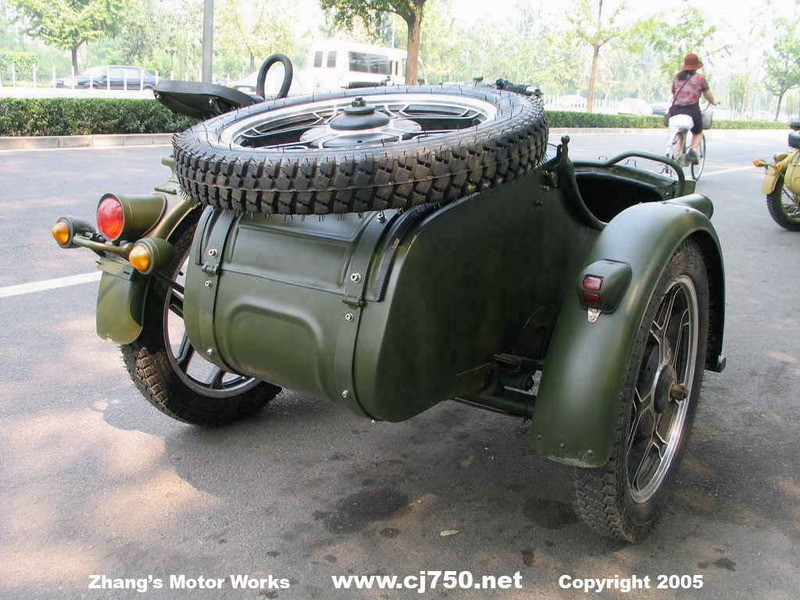 For rough riding conditions we recommend the alloy wheel because it is true and requires little maintainence (no broken spokes). 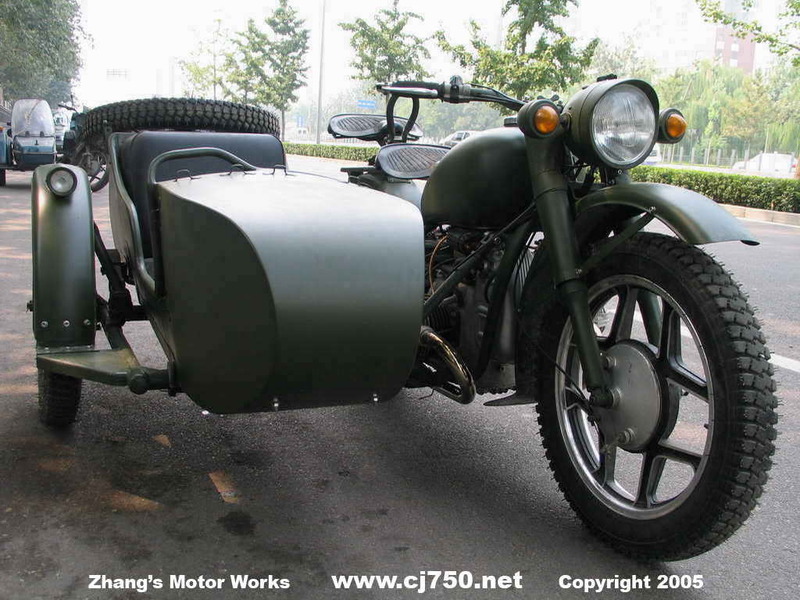 Contact us for a custom built Chang Jiang 750 sidecar of you dream at the local Beijing prices. 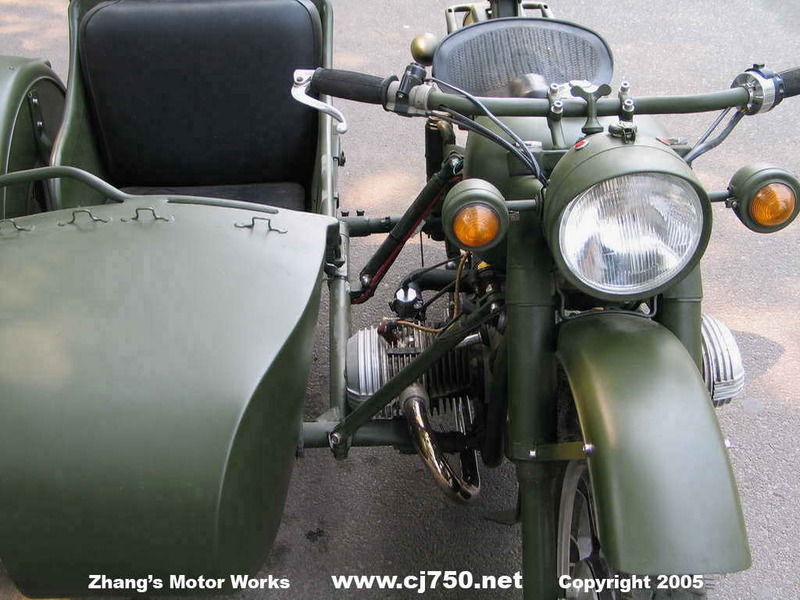 This restored Chang Jiang 750 sidecar has with LEGAL Beijing plates! 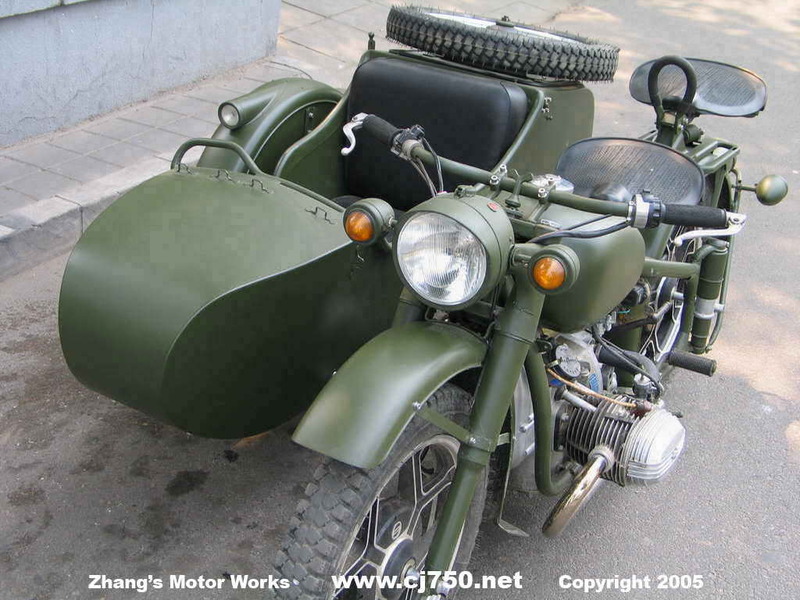 Read more about owning one of these in Beijing.